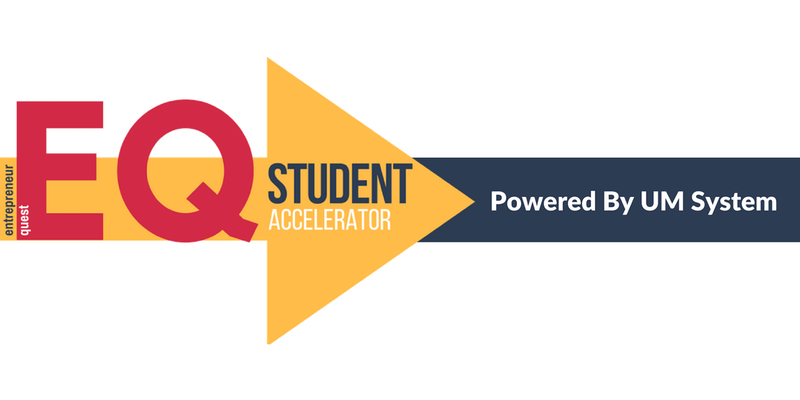 Sign up today for the first-ever EQ Student Accelerator Pitch Day “Shark Tank” where student startups compete for up to $30k. The Entrepreneur Quest Student Accelerator is backed by an investment from the UM System and this event will feature the 11 UMSL student startups. Three finalists will be awarded $15,000, $10,000 or $5,000. Then, all 12 campus finalists will meet in April and compete for another $15,000, $10,000 or $5,000. The cohort companies will pitch their ventures to a panel of judges and the audience followed by a trade show with food and networking. If you are a potential customer, investor, supporter or someone who’s passionate about entrepreneurship, register for the event now and take a look at why UMSL will become the first choice for entrepreneurially minded students! *Seating is limited so RSVP today! **Doors open at 3:30 PM and Networking & Trade Show session is between 7:00-8:00 PM. Directions: The event will take place at the J.C. Penney Conference Center (located on the south end of the building) on UMSL North Campus. You can use this Google Maps link or the UMSL North Campus Map link to find the Pitch Day location. If you use the UMSL North Campus map, please refer to building C-7. Learn More: To learn more about this program and find us in the news, visit the EQ Student Accelerator Powered By UM System website. Questions? Please don’t hesitate to contact us at accelerate@umsl.edu or (314) 516-4626. We can’t wait to see you on March 19th!